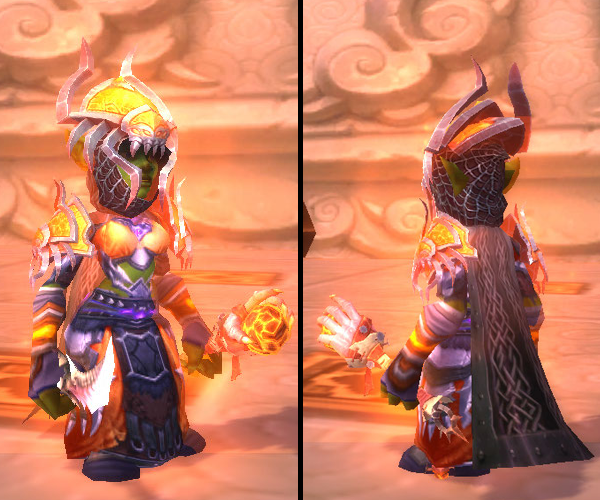 ROY G. BIV Transmog: Orange | That Was an Accident! Oooooh Fire!! That’s a gorgeous set 😀 I really like that choice of cape to kind of carry over from the spiderweb look of the hood. Thanks! I’d tried other things, like purple to match the accents and orange in general, but eventually I concluded that the black/chain pattern was the best match. It was reminiscent of the spiderweb, as you say, and it tied in with the dark accents in the robe without being too busy or too plain. 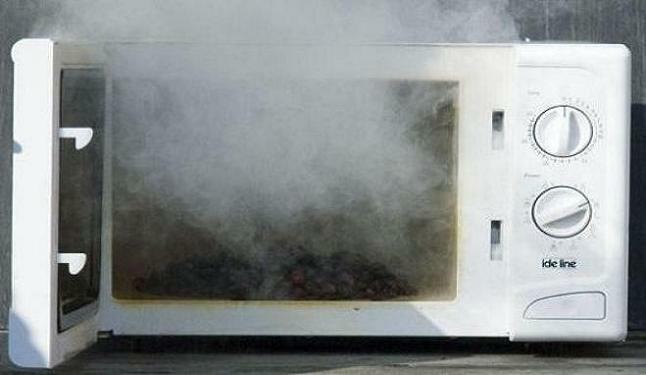 Ignitine has no problem destroying things to get what she wants – microwaves and minds included. I was so lucky to get the tokens for the hood and shoulders on the only Firelands run I could get Ignitine into. Ignitine is on fire! Looking good! Literally so! It’s kinda hard to tell, but I totally burned the training dummies until I had full embers/full onfireness. Reading your posts is quite dangerous when I am at work and may have to answer the phone in a serious manner at any given moment! Does that mean I’m not work safe!? Pingback: ROY G. BIV Transmog: Yellow | That Was an Accident! Pingback: ROY G. BIV Transmog: Green | That Was an Accident! Pingback: ROY G. BIV Transmog: Blue | That Was an Accident! Pingback: ROY G. BIV Transmog: Violet | That Was an Accident! Pingback: Barbarian At the (Garrison) Gates | That Was an Accident!